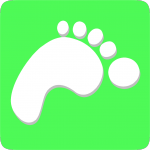 We just updated StepWise Pedometer to add a new Apple Watch App. I am delighted to announce that StepWise Pedometer plus Calorie and Weight Fitness Tracker for iPhone 6, iPhone 6 Plus & iPhone 5S is now featured on the NHS Choices Health Apps Library at apps.nhs.uk. After writing our recent article, Calories: A seasonal concern? recently, it set me thinking about the importance of fitness, exercise and diet for all of us. 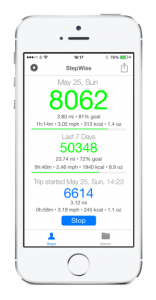 StepWise Pedometer plus Calorie and Weight Fitness Tracker is designed specifically for the iPhone 6, iPhone 6 Plus and iPhone 5S, and transforms your iPhone into the ultimate HealthKit fitness tracker.